Enjoy gourmet dining in a gorgeous setting. Our members will also receive half a bottle of Champagne in their room on arrival! 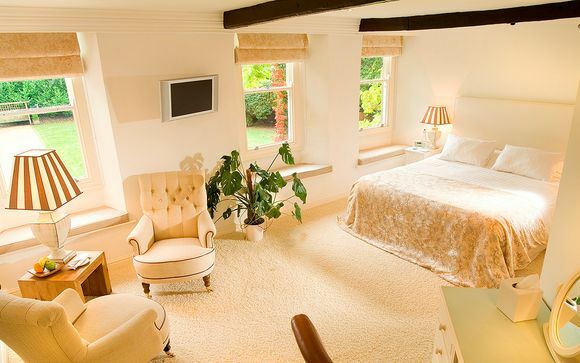 You will find Hipping Hall just outside the picturesque village of Kirkby Lonsdale, in between the beautiful Lake District and the remote Yorkshire Dales and with a hotel of this quality it's only fitting that the surroundings are of equal class. From this serene spot visitors can explore the two nearby areas, or simply wander around the quaint Kirkby market town. Kirkby Lonsdale is a pretty and picturesque Cumbrian town, renowned for its charm. This traditional town has retained its quaint appeal yet is combined with a modern day twist. The historic buildings that line the streets now house independent shops, trendy cafés, gourmet restaurants and unique pubs. 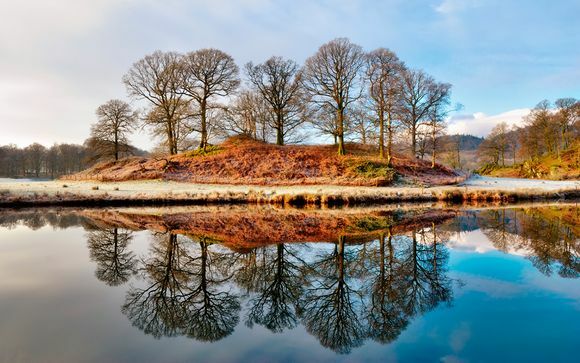 From 16 sparkling lakes and England ’s highest mountains, to sheltered valleys, heather moorlands and salty seascapes, Cumbria and the Lake District have inspired and captivated generations of visitors and famous writers and poets such as William Wordsworth and Beatrix Potter. But there’s more to see than just scenery. The area has a rich heritage to discover, a vibrant and contemporary cultural scene, and a growing reputation for fine food and drink. The Yorkshire Dales has many moods; it can be wild and windswept or quietly tranquil. It includes some of the finest limestone scenery in the UK, from crags and pavements to an underground labyrinth of caves. Each valley or 'dale' has its own distinct character, set against expansive heather moorland tops. Hipping Hall is a modern country house and restaurant with beautifully appointed luxury accommodation. At Hipping, you’ll find the simple things done well; a warm honest welcome, clean, comfortable and relaxing rooms, fantastic food and of course a cracking wine list. This is a place for you to enjoy yourself and be looked after. A place where you’ll only be disturbed by someone asking if you’d like a drink, or what you’d like for dinner. Choose a stay in Room 2, Room 4 or Room 6. Just for you: half a bottle of Champagne in your room on arrival. One of the larger rooms, Room 2 features exposed beams in both the bedroom and bathroom, which show the age of this beautiful property. Three sash windows over look the front garden, making the two armchairs the perfect place to take in the afternoon sun with a cup of tea and a slice of home-made cake! The bathroom is a good size, well laid out and dressed in mocha cream limestone. Room 4 is considered the 'garden room'. Large bay windows dressed in flowing silk curtains look out over the lawn and shrubbery. Having a bit of extra space, Room 4 is a great room for those who require spacious surroundings. The bathroom is perfectly formed and has a large bath with a shower over and a full length mirror. 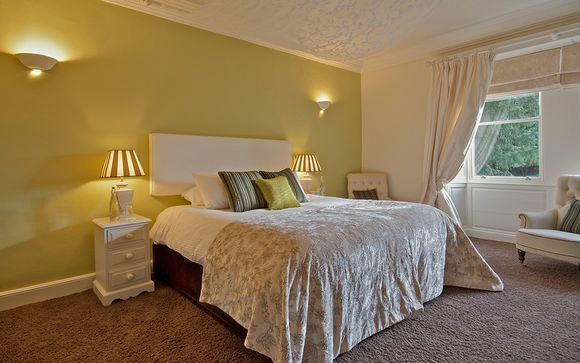 Room 4 has a large (6ft) double bed and can be a twin if required. 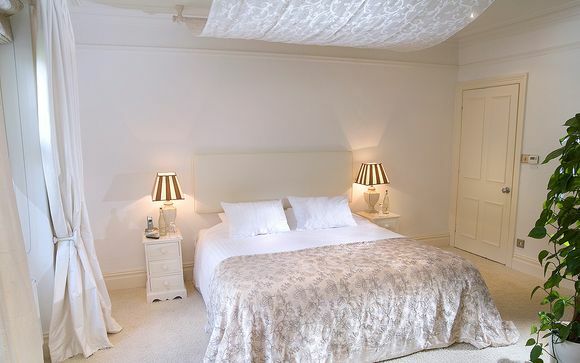 The largest of the bedrooms by far, Room 6 has high ceilings, a 6 ft double bed and its own separate sitting area. The large bathroom has a lovely double ended bath - ideal for a relaxing soak. With plenty of space to spread out, Room 6 is perfect for a special occasion and is the ideal home-from-home. The dining experience at Hipping Hall is a real treat; something very special indeed. 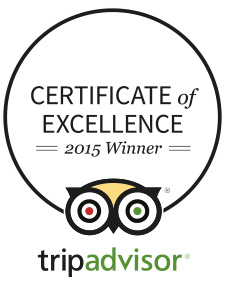 It’s an experience that has been commended with 3 Rosettes for food by the AA, putting them in the top 2% of all restaurants inspected by the AA. Oli and his team in the kitchen take great pleasure in producing fabulous food perfect for the rugged borders of Lancashire, Cumbria and Yorkshire. The menus at Hipping Hall change daily and every evening the restaurant offers a 5 course a la carte menu or a 7 course tasting menu. Both menus burst with local and seasonal flavour with all dietary requirements being catered for.